Back to France, Bonjour from Home! Long time no see… Gosh, I miss so many of you! My name is Paul (last name “Romain”, pretty confusing as it is a popular first name in France, haha! 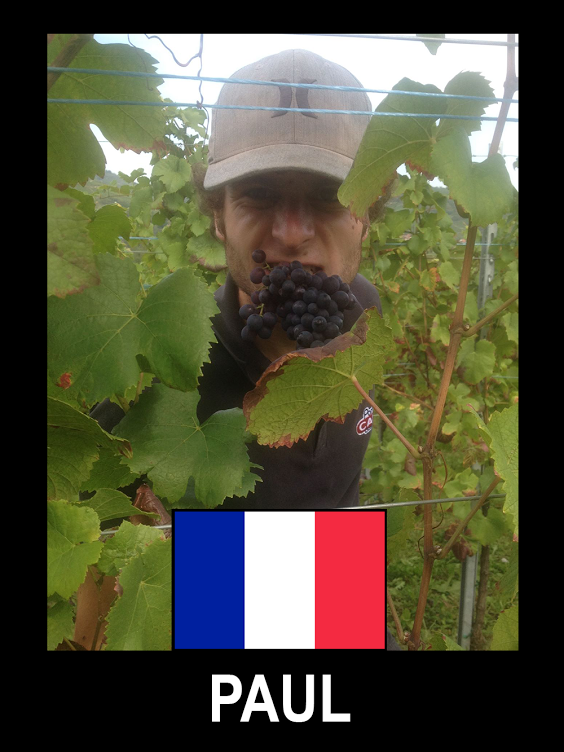 ), and for those of you who don’t know me yet, I’m from France. I spent last year at Willamette as an exchange student, and now that I’m back home after what has been the best year of my life so far, I felt the desire to get more involved in the Willamette community, which will remain in my heart forever… And what better way to do that than contributing to this good old Willamette World News, right?! Indeed, most part of last year, I was a co-editor for the WWN, and it’s now an honor and pleasure to contribute from overseas to this awesome project! So, with no further delay, let me introduce myself in proper terms. I am a French student of 21, and just graduated from an Applied Foreign Languages degree, after spending my third and last year at Willamette as an exchange student. I studied English and Spanish as languages, but also world culture, international relations applied to economics, and history, communication and philosophy as minors. As my course of study probably indicates, I am an eclectic guy, interested in many things, and I believe that life is worth living if you keep on learning, discovering new things and exploring new places, meeting new people from every background possible, and most importantly, if you keep doing what’s in your power to spread happiness, respect and love in this fascinating world of ours. I grew up in the Northwest of France, in a very iconic region with rich history and strong identity: Normandy. In France, Normandy is known for its dairies and cheeses (seriously, we have a lot of them, from Camembert to Livarot, not forgetting Pont-l’Évêque, and I’m skipping a lot of them for the sake of concision). 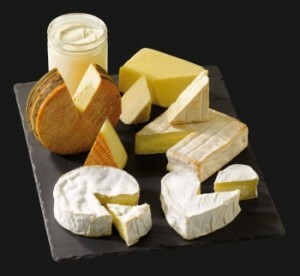 By the way, did you know that most cheeses from my region were banned in the US for “hygienic” reasons? Indeed, most of them are made out of raw milk (which obviously contributes to their rich taste and flavorfulness), and the US Food and Drug Administration (FDA) believes that this could be dangerous for consumers’ health… I will let you be the judges of such measures, and will save economics and politics for later! A bunch of cheeses from my beloved region. I’m not a huge fan, but let me tell you that they are really popular around here! Normandy is also well known for its History, from the Vikings who landed here a long time ago, to William The Conqueror (http://en.wikipedia.org/wiki/William_the_Conqueror), to the historic events that took place here during World War II, when the Allied forces (including many young American soldiers) landed on the beaches of Normandy, on June 6th “the D-Day” to help free Europe from tyranny. Yup, a looot of history around here, a lot to see, a lot to learn, and a lot to taste too! 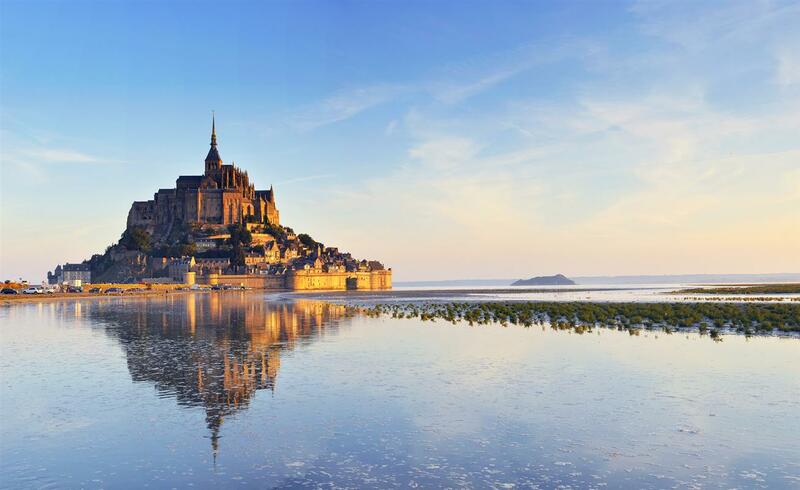 We have amazing monuments (such as the world famous Mont Saint-Michel) and some beautiful landscapes, sooo, to keep it short… COME VISIT!!! with a magnificent abbey overhanging above it… A must see, most definitely! 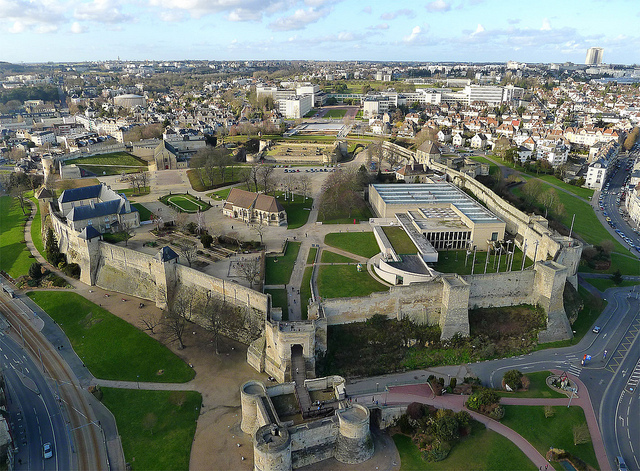 I studied for the past few years in the city of Caen, where I currently live, and learned how to appreciate the legacy of History; noticeable everywhere in my home city. Old churches everywhere, monuments commemorating various historical events… And a freaking huge castle, built more than a thousand years ago by William the Conqueror, right in the middle of the city! It’s simply incredible when you think about it, and I highly recommend that you check it out at some point in your life if you ever get the opportunity…. Because in Normandy, you are more than welcome! 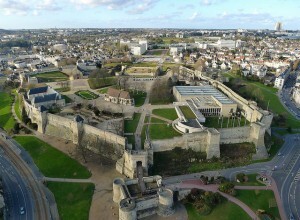 right next to downtown Caen… What do you think of that?! Sounds terrifying when you just throw it like that, don’t you think? Well, indeed, as you can easily guess, we all carry with us a culture: some sort of identity with a set of rules, values and standards coming from a whole range of sources in our life: our education, the places we grew up in, the people we have met, the very culture of our home country, our life experiences (with travels, accomplishments and personal choices), or even our spirituality. Well, coming to the US was the first extended period abroad for me, away from my family, my culture and what I had known since I was born, and coming to this country that has always fascinated me with an open mind helped get the most of my experience there, at Willamette, and beyond. I won’t lie, for many reasons, it has been pretty hard for me to re-adapt to some aspects of my cultures. All the rules of communication, the general mood of France being less enthusiastic than what I found in the US, the rules inside my family being different than the somewhat “free-minded” lifestyle I had adopted abroad… Some things, some people change, and other don’t. That’s life. The rest is all about choices, opportunities to change, and following the ways that suit best who you truly are. At this point of the article, I realize that I could keep going on and on on this topic (probably write a book about it, actually), but I lack of time, so I will have to let you with that for now. But if I have to end on some final note, I would just advise you, for anything that you do in life, to do it trusting who you really are, with kindness and compassion. And then, you will see by yourself: different country? different culture? This will not even matter anymore, or maybe be minor issues, as you will realize that love is a universal language. Alright, enough world peace preaching for now, I hope you didn’t get bored reading my article, and if you did, I will manage to keep things shorter next time, promise! Until then, enjoy yourselves, enjoy life, and keep on learning, exploring and discovering!